The case is machined well – corners are rounded, edges are smoothed, and all smell removed. It is very easy to apply/remove by simply stretching the lip over the edges of the iPad. It takes longer to put your socks on. It has functional cutouts at its top, side and bottom, with raised segments to sit on the power and volume buttons. These have been positioned well – they all correspond accurately, although the tolerances seem a little too generous. 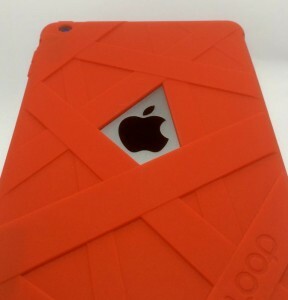 The trapezoid cutout to expose the Apple logo on the back is an added nice touch. 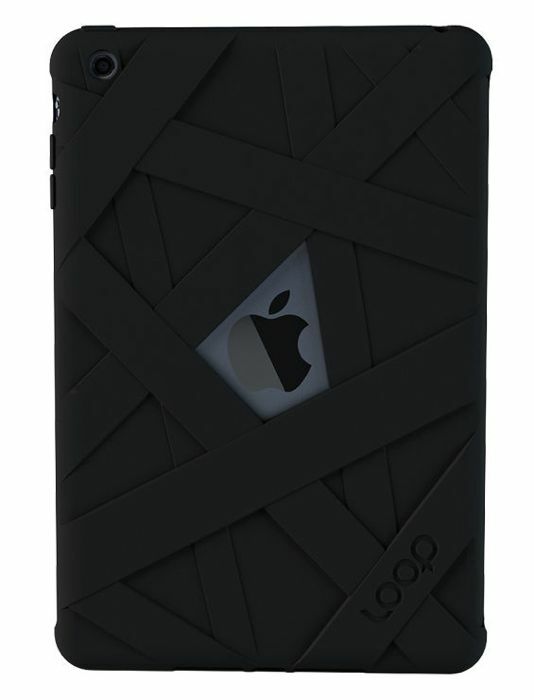 The case offers good protection insofar as coverage is concerned (minus the vanity cutout and the screen, of course). I wouldn’t like to comment on its impact resistant claim however, as thankfully I didn’t have to test it. Dropping a 110+gm iPhone in a silicone jacket is one thing; an iPad Mini about 3 times the weight and size is another altogether. And accordingly, no official crash test is out there, yet. They come in 6 colours: black, blue, graphite, red, teal and white. If the red is anything to go by, the colour is sufficiently rich for silicone standard. Note however that it’s duller in real life compared to the website photos, and there is a distinct shade difference to Apple Smart Covers. When dressed, the lip of the cover extends a touch too far into the bezel and doesn’t always sit still long enough; so it doesn’t look that great, and you’re constantly realigning it. Think that constantly northbound wandering skirt hem when you’re walking, girls. Guys, go ask the girls about it. Then, when on, it adds almost 3mm thickness (give or take a few microns) to the iPad Mini. Yes, in the grand scheme of things, 3mm may only be a big deal to pedants like myself; but that additional 3mm to a sleek baby iPad makes it feel like I’m carrying Margaret Mitchell’s Gone with the Wind. Okay I exaggerate a little, but coupled with that rubbery-plastic texture, I might as well have a VTech InnoTab. The groove to allow a smart cover’s edge to lie in, and magnetic anchors to hold a folded back cover are great ideas. Trouble is, the cover-iPad sticking points are not meant to have silicone sandwiched between them – the magnetic pull is therefore weakened, and functions that rely on that force goes awry. Good luck using the cover as a stand. And talking about magnets, what’s with silicone and dust? Despite how fashionable it may be, I don’t expect a PVC jacket to feel like Cashmere, so wanting this case to be more than a silicone coat isn’t going to work. If cheap colourful rubber rubs you the right way, then there’s enough bang for your buck here. It’s got character, it’s functional and as far as glorified plastic goes, the quality is there or thereabouts. Personally though, I’d suit an iPad Mini in a 3-piece, rather than let it out in Speedos. Still, horses for courses, so here’s a store link for the Mummy Case; it’s priced at $29.95 and is designed for iPad Mini/Mini with Retina. One more thing: This case was purchased independently by the post author. He has since resigned it to eBay. It’s still there.